A UNIFORM approach for advertising across different railway zones will be in place by next year, sources from railway office informed. The approach is meant to further explore advertising potential and help increase earnings for railways. Till now, railway zones including Central and Western Railways have invited individual tenders from bidders without specifically restricting to any form of advertising for incurring revenue for the department. Sources from railways confirmed that starting April next year, a uniform approach will be implemented that will increase competition and cut across various railway zones. “The entire aim of the new approach will be to increase advertising potential and increase earnings. Each railway division will be included under the approach which will aim at inviting more competitors and further allow advertisers to advertise their products in different cities and states. Consultants have been roped in for designing this lengthy policy for the railways,” a senior WR official said. According to the official letter received by the railway departments, Board has formed a separate revenue directorate in the Ministry for the same.The package of tenders invited and proper marketing at appropriate forums will raise advertising revenue, the circular reads. Since August 10, both Central and Western Railways have been asked to stop tendering process related to advertising revenue till March 31 next year. While those sanctioned before August are allowed to continue, officials will be allowed to sanction others ending before March 2017 on a pro rata basis to avoid loss of revenue. “We have been asked to stop inviting tenders for different forms of advertising including external wrapping, internal product sale, on-board entertainment, rail radio, audio advertising and other forms of advertising done inside stations. We have been asked to wait till next year for the new approach to come in. While this was intimated to us in June, a final decision of the same was taken in August,” a senior CR official said. However, railway authorities are puzzled whether the uniform approach will bring equal or more revenue for the department as witnessed in present. “The approach mainly aims at tapping those unused sectors, unexplored railway zones and thus encouraging competition and scope for advertising. 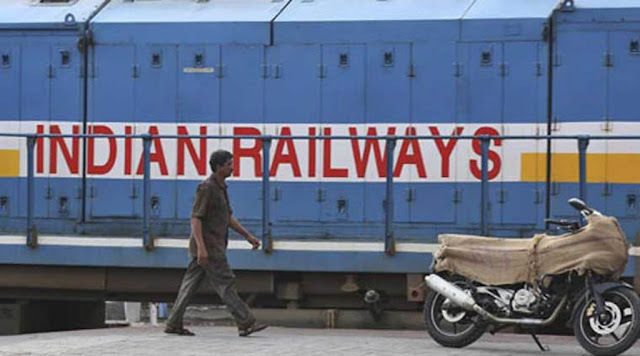 However, knowing the commercial value of strategic railway points in Mumbai, it is difficult to comment if the policy will benefit increase earnings from advertising from here,” a senior WR official said. “If the new approach encourages more new forms of media like electronic and audio forms, it may sure boost revenue. However, sticking to traditional forms or keeping a uniform cost may not help that much,” a senior CR official said. The Central Railway was almost 87% behind target of meeting advertising revenue target between April-August as they incurred only 13.12 crore in comparison to a target set by Board of making 101.14 crores. While Western Railway made 24.04 crores in the same period while falling short by 81% of the target set of 127 crores by Railway Board.